Alla ricerca di penna puntatore laser ad alta energia? Allora il nostro kit penna puntatore laser a punto singolo in acciaio inox da 450mm 450nm con batterie e caricabatterie e chiavi sarà la scelta ideale per te! Questo puntatore laser genera un raggio laser blu intenso a punto singolo fino a 5000 mW. Puoi persino usarlo per accendere un fiammifero o una sigaretta. Inoltre, è anche un prodotto divertente e utile che funziona in una varietà di aree, come il puntamento del cielo, l'illuminazione, l'indicazione, l'allineamento e altro. La sua dimensione compatta e leggera è facile da trasportare. Non esitate a prenderne uno adesso! Wow,What I want to say about this laser is that it's indeed wonderful.It's of good quality and the price is very reasonable.In a word,I'm very satisfied with the laser. 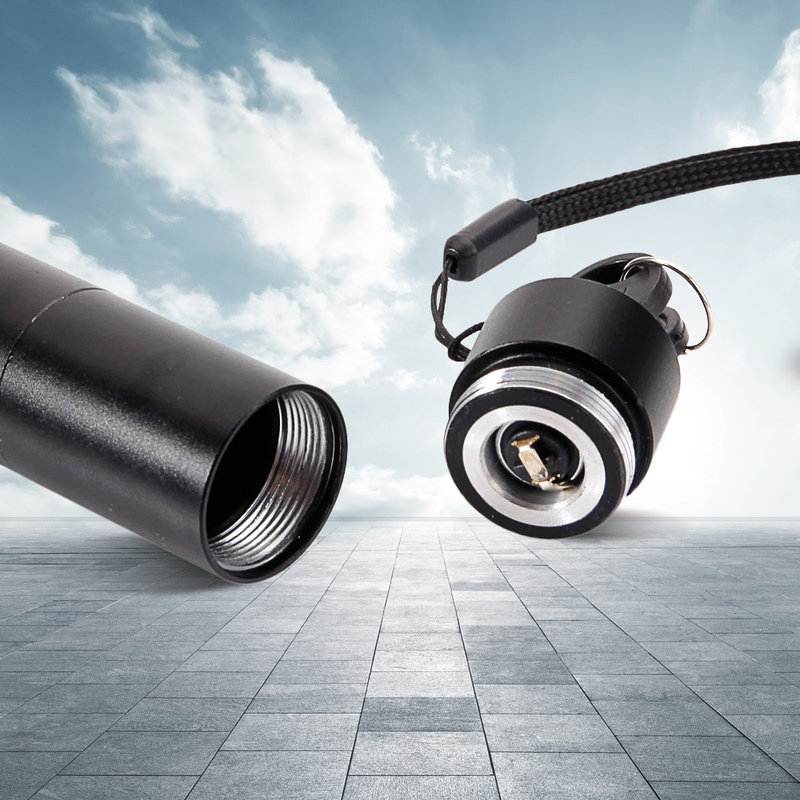 As one of your customers already said that Laser Comes in a \\\"302\\\" aluminum body NOT stainless steal as advertised but This thing is very POWERFUL indeed and everything else is correct even the white box\r\nwith \"GREEN LASER POINTER\" on it. Just received this after waiting over 20 days. I paid extra for the 5-10 day shipping. The bad first: Comes in a \"302\" aluminum body NOT stainless steal as advertised, but no big deal. Now the GOOD: This thing is very POWERFUL!!! Probably the full 5000mw as long as it\'s FULLY CHARGED before using. Burns right through paper/cardboard regardless of color! Melts black plastic instantly! Unit gets very hot after a few minutes of heavy, sporadic use. Then, it no longer burns & it\'s \"off to the charger for the batteries\" I highly recommend this but only if using with EXTREME caution. NOT a toy! 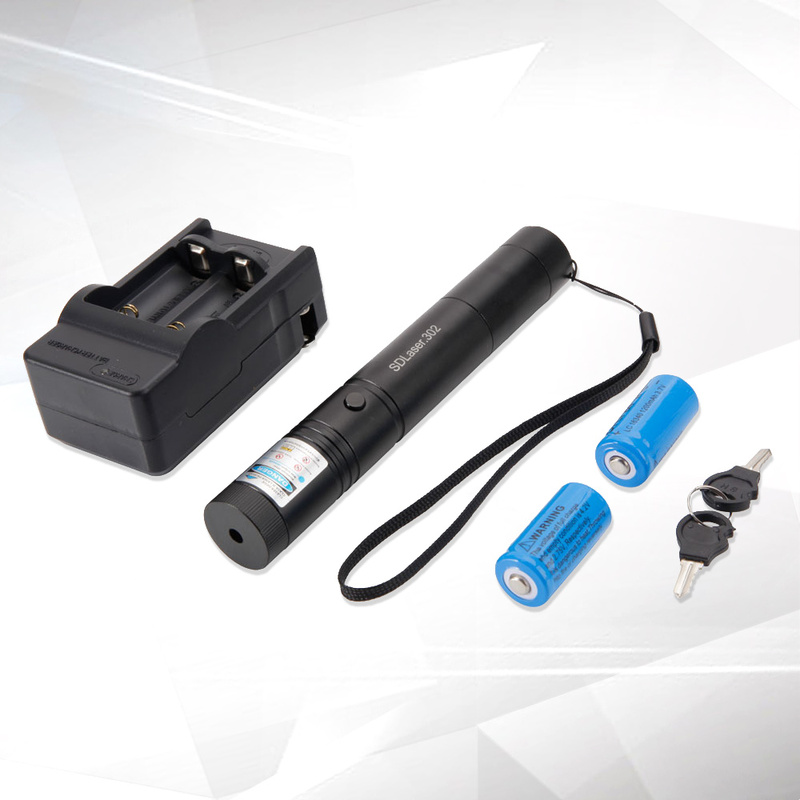 I've never bought a better laser pointer.It emits a strong blue single-point beam light.I'll purchase one for my best friend as his birthday gift.In addition,what I want to say is that this company provide customers with good service.Haha,so great! I JUST GOT MY LASER TODAY AND I FIND MYSELF SIMPLY AMAZED AS TO ITS QUALITY AND POWER. I CAN LIGHT CIGGIES FROM FIVE FEET AWAY AND ALL I CAN SAY IS THIS IS A GOOD THING FOR YOUR $100.00 WELL WORTH THE INVESTMENT I OPTED FOR EXPRESS SHIPPING AND IT CAME A DAY LATE BUT THAT\'S OK. WELL WORTH THE WAIT. Laser came very quickly. I was astonished how good and powerful the laser beam is. Indeed, it\'s recommended to use protecting googles while operating this. I\'m fully recommending this laser for so bargain price. What I want to say about this laser is that it's indeed wonderful.It's of good quality and the price is very reasonable.In a word,I'm very satisfied with the laser. I was a bit weary of it at first because of bad reviews read else where. But this is truly awesome. The battery drains fast, but it also charge fairly quick. The beam is visible in rooms and extremely visible at night or in the dark. On a sunny day it isn\'t very visible but still very bright. It\'ll burn a match in a second, and everything else. it has difficulty burning white objects, but while smoke anything dark in seconds. Definitely worth the money. Not 5w but is strong enough. The beam is squarish the further away, but still cool. will light up a room in pitch dark. Very bright. And it is focusable. All I can say is this thing is a BEAST. For only $100, this thing will burn straight through electrical tape, plastic and cardboard (regardless of color). You can cut through electric tape in about 5 seconds. Close up, you instantly feel a burning sensation on your skin, and when focused, will melt your arm hair on contact as well as anything else you out in front of it. 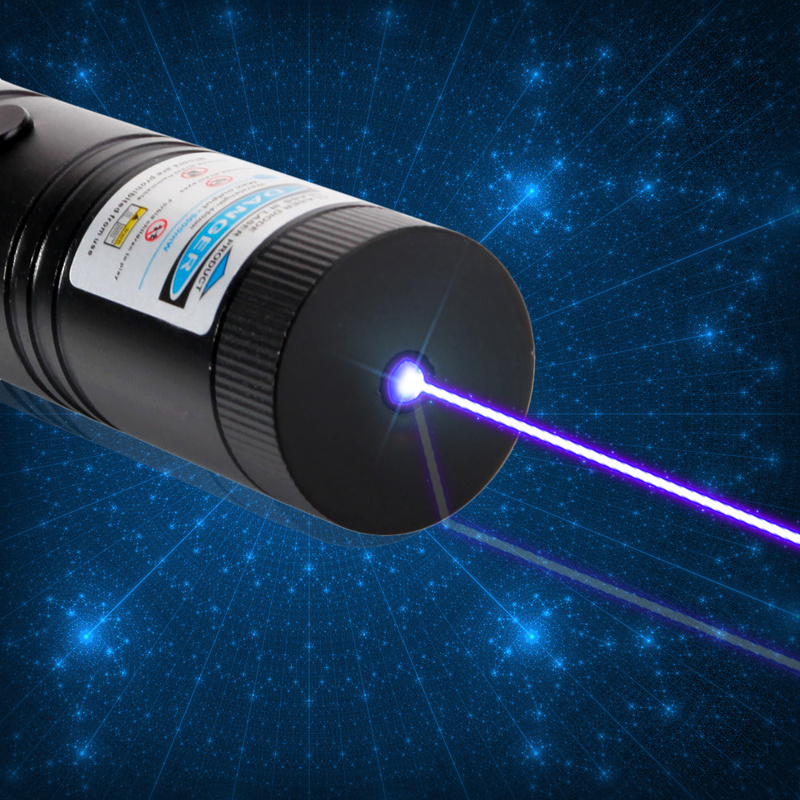 $100 may seem like a lot, but you won\'t find a 5W laser any cheaper than this. \n\nPURCHASE LASER GOGGLES WITH THIS. It is literally like looking at a welder without any eye protection, and if you don\'t use any, you WILL get eye damage, even without looking straight at the beam. I have had more than a dozen lasers from this site alone, but nothing more than 500mW. I am sure this one is not 5W but it doesn\'t matter. This thing doesn\'t need to be anymore powerful. You can see the beam in daylight and start fires on the other side of the room. 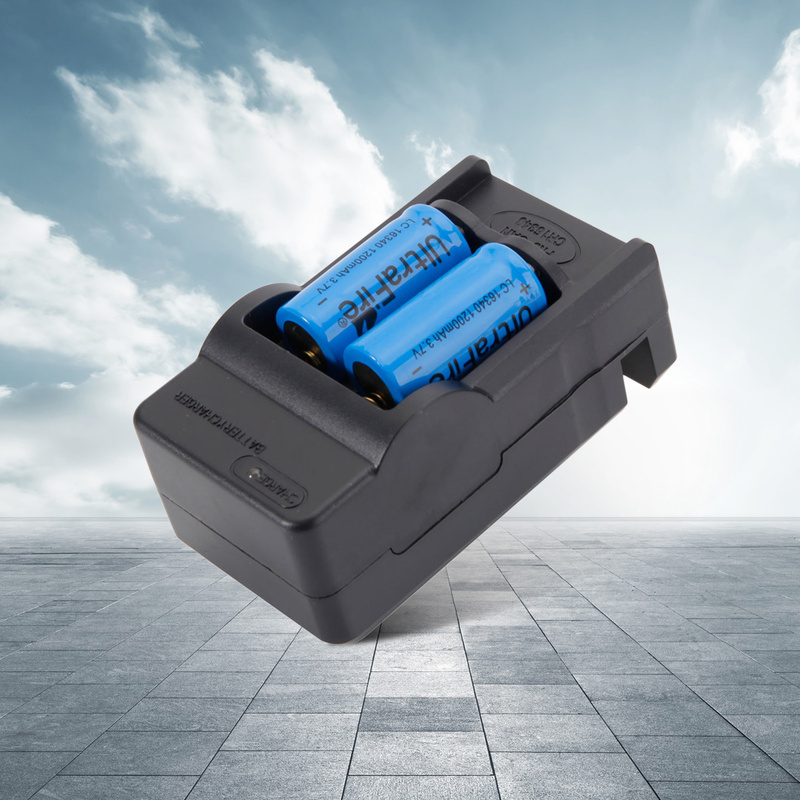 Batteries go fast because you are drawing a lot of power from them. Be careful with anything this strong. The reflection off a road sign at 1/4 mile is blinding. I strongly encourage you to get one of these at this incredible price. I should have got one long ago. This site is awesome! They have great prices and products made with really good quality. I don\'t think it said it was focusable in the description but it is and is a great burning laser for the price. I would recommend this site to anyone! I bought this 5,000 mw laser thinking that it was too cheap to be all that great. But I was wrong. This thing is awesome! I\\\'ve burnt just about everything that I own now. If you buy one, be sure to buy some laser glasses because they are crazy bright and it is like looking at a welder without them. Absolutely love this thing. Does all of the burning examples and more. Courteous service and very fast shipping. The only thing that I don\'t understand is that this laser comes labeled as a class IIIB laser, I\'m pretty certain it\'s a class IV? I can\'t be sure.